Just because there has been a crisis does not necessarily mean there is going to be a change. And yet why, exactly, did nothing change in the face of global resistances and movements which followed the financial meltdown of 2007/8? 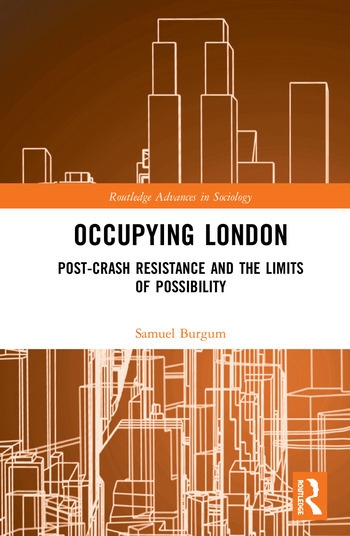 Based on ethnographic research with the Occupy movement in London – as a case study of one post-crash attempt to bring alternatives about – this book argues that change was ultimately foreclosed by widespread ‘common sense’ limitations of what was considered possible after the crash. Offering a critically constructive analysis of the Occupy movement in London and incorporating both activist praise and self-criticism of their movement, Occupying London discusses both the political potential suggested by the occupation of space and the slogan ‘we are the 99%’, as well as the problematic extension of post-crash normativity into the movement through issues of organisation, repetitions of wider norms, and an inadvertent acceptance of wider distributions of possibility. Such positives and negatives are shown to have played out in a wide-range of arenas: from the occupation of space itself, through attempts to organise collective appearance and voice, as well as ‘authentic’ constructions of resistance and ‘cynical’ framings of power. The author’s intention is to provoke thought on behalf of any ‘half-fascinated, half-devastated witnesses’ of the financial crash and the political disappointments which followed. It is argued that such movements possess the potential to bring about progressive change, but only if they intervene into wider distributions of ‘common sense’ by embracing collective symbolic efficiency and avoiding binary framings of ‘authentic’ resistance vs. ‘hidden’ power. Introduction: Now Is the Winter of Our Discount Tents! 1. What Is Our One Demand? 2. Whose Streets? Our Streets!